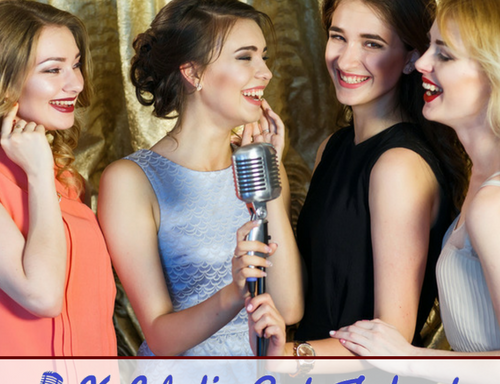 Want to have a little fun during the next corporate cocktail party? Well, how about My Big Fat Greek Team Building Event? 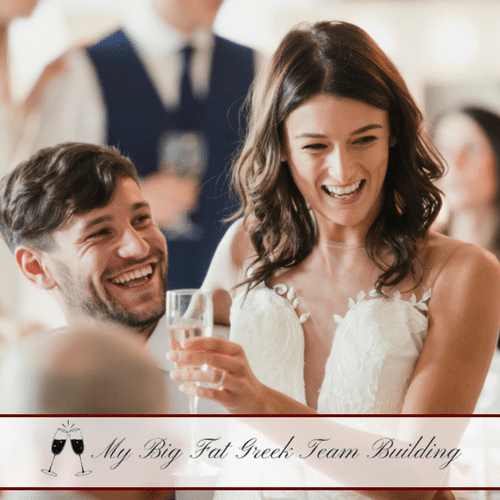 Based on the hilarious movie, your team will unknowingly be active participants in a fun and funny ad-lib wedding reception. The only people who are in on the joke are the faux bride and groom and of course a comedian who we supply as the emcee. This fun cocktail reception will have your team’s creative juices flowing and have them literally rolling in the isles. The event begins just like most corporate cocktail receptions for the first couple of drinks. However, the reception begins to get a little wild when one of our comedians takes on the roll of emcee. The emcee will play a little mood music, get the group to dance a little, and maybe even lead a quick sing-along. Next, the emcee will toast the bride and groom… (Record scratch…) Bride and groom? Yep, the comedian will recap the beautiful wedding ceremony from earlier in the day and toast the bride and groom. Of course with the faux bride and groom playing along, the rest of the group may begin to get a little confused. That is until they each begin to get called on to tell their happy stories about the couple. The more the group gets into the spirit of My Big Fat Greek Team Building, the more hilarious the results. Our comedians are excellent and giving each impromptu participant just enough of the story to lead them into embellishment galore. 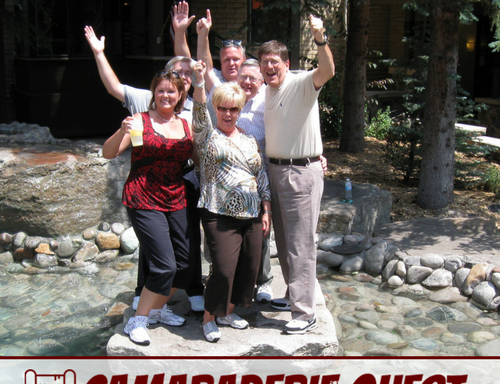 This program is a fantastic way to cap off a corporate meeting or convention. It is also a good way to build teamwork and camaraderie while having a lot of fun! Experience a very fun and memorable meeting cap. Have fun drink adult beverages. This is a fantastic and low-cost way to build teamwork and have some fun as a group. You supply the cocktail party, we supply everything else! Helpful Links: All Team Building Activities or Other Just for Fun Activities.